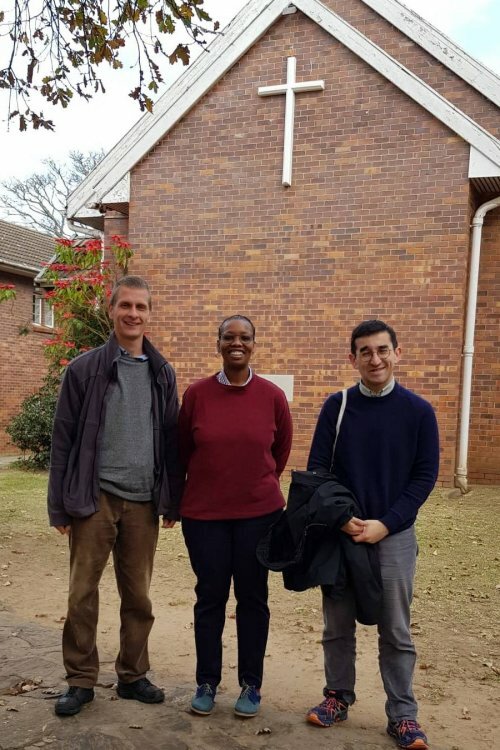 Two brothers from the Taizé Community, based in Cape Town, visited the Eastern Cape province during the last week of June and the first week of July. "Our first stop was to attend a meeting in East London with people engaged with young people in difficult situations (such as poverty, drug ...), we went to Alice, to attend the Synod of the URCSA (Uniting Reformed Church of Southern Africa), invited by its moderator, Pastor Peter Grove. 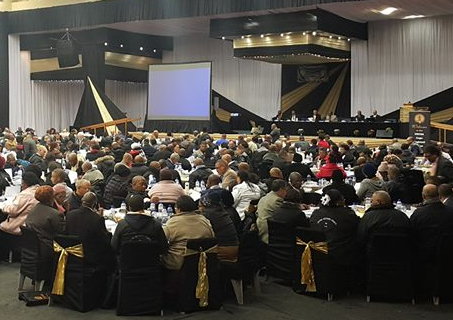 We presented next year’s meeting to the 500 ministers and representatives of the Synod gathered at Fort Hare University, where Nelson Mandela studied. Our second stop was in Grahamstown. We met Rvrd. Vicentia Kgabe, Rector of the College of the Transfiguration, a seminary to form priests of the Anglican Church. She has fond memories of the meeting in Johanesburg in 1995. We also met the pastor of the NG Kerk (Dutch Reformed Church), a young professor from Rhodes University who works with Christian students and a team of priests and young people in the Anglican Cathedral of Grahamstown. Our third stop was in Port Elizabeth. There we were welcomed by Pastor Rethie, from the NG Kerk, who organized two information meetings with pastors and youth from their church. A nice meeting was organized by Father Lubabalo, catholic dean, with young leaders of different parishes who wanted to prepare themselves for the meeting of 2019. The last day we participated in the ordination of six priests and three deacons of the Anglican diocese of Port Elizabeth, presided by the bishop, Rght. Rvrd. Bethlehem. The final part of the visit took place in Mosselbaai and George, Western Cape. We met priests and pastors from different churches in both cities. 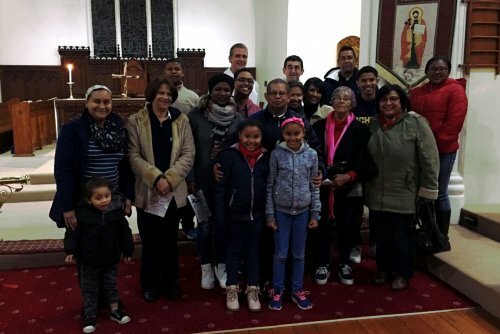 We ended with an evening prayer and a meeting at St Peters, the Anglican parish of Mosselbaai. All meetings were opportunities to establish relationships with churches in these regions and to help young people to prepare themselves for next year Pilgrimage of trust in Cape Town next."